ratatouille and pork shoulder for the ratatouille you'll need: 6 plum tomatoes 1 medium onion 4 zucchini (2 yellow, 2 green) 1 aubergine 1 orange bell pepper 3 cloves of garlic 1 can of tomato sauce herbs de provence salt and pepper score an x in each tomato and place into a deep pan of boiling water. after about 2 mins, when the skin has started to peel away, remove the tomatoes and continue to remove the skin. set to one side. in the largest pan you have, saute the chopped onion until translucent, about 4 mins. add the diced aubergine and stir. cook until aubergine starts to brown. add the chopped/sliced zucchini and sliced peppers. stir well. take the freshly peeled tomatoes and crush (use your hands). discard the cores. add to the pan along with the canned tomato. 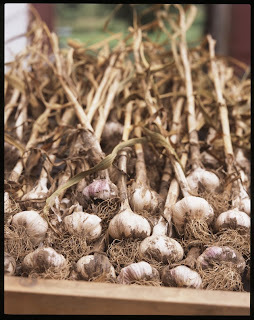 place the garlic cloves into the pan, sprinkle on a large teaspoon of herbs de provence and cover. after 15 mins, the liquid level should have reduced to give enough room for you to stir the ingredients fully. ensure everything is well mixed. season with salt and pepper. leave covered and simmering for 40 mins. you will need: 2 large potatoes (white) 2 cups of flour 1 cup parmesan - finely grated 1 egg 1/4 teaspoon nutmeg pinch of salt pinch of black pepper score the potatoes and boil until the skin starts to split (depending on size of potato it could take up to 50 mins). remove from water and immediately remove the skin - use oven gloves as the potatoes will be really hot. as soon as you've take off the skin, put the potatoes through a potato ricer. the hotter the potato is when you rice it, the fluffier your gnocchi will be. spread the riced potato onto a flat surface, spreading it out evenly to cool. i put my potato onto a baking tray lined with parchment. once the potato has cooled, form a well...see photo...and into this well place the egg (already beaten with the salt, pepper and nutmeg). using your hands, knead the potato and egg mixture until it forms a soft dough. add the parmesan and flour by the handful until your dough holds enough to form a large ball. total time from making the well to when the dough is done should be around 2 minutes. this is really messy process...ensure you have enough flour on the surface and your hands as kneading the dough will make things stickier and stickier... form the dough into a large ball and cut into 6 pieces. take the first piece and form a rectangle. now roll it into a long thin snake shape - see photo. keep enough flour on the dough, surface and your hands. if it gets unmanageable, split the dough again and form shorter strands. pinch off an inch and form a round ball in the palm of your hand, press a fork's tines into the dough ball - there's your gnocchi. you don't have to do anything other than form a ball or oval if you prefer, the fork marks are optional. when your gnocchi is ready, refrigerate covered if you're not using it straightaway. freeze if you want to use it longer than a day later. heat salted water in a deep pan - when boiling, add the gnocchi. my gnocchi took around 3-4 mins. they floated to the top but weren't done (they tasted potato-y) so i left them in there for another 2-3 mins by which time they sunk...but were cooked perfectly. most recipes advise cooking for 1 minute, cooking being complete when the gnocchi rise...but in my experience tonight, they needed longer in the water. when they were cooked, i tossed them in butter and covered them with arribiata sauce. they were lovely, i was relieved and happy at the result. arrabiata sauce you will need: 1 can tomato sauce 4 fresh plum tomatoes 2 dried red chiles 2 sprigs fresh basil 4 shallots, finely chopped 3 cloves of garlic, finely chopped 1/4 dry sherry salt and pepper score the tomatoes - 1 large cross in the base of each one. place them into a deep pan of boiling water. after about 1 minute remove the tomatoes and peel off the skin. crush them using your hands into a bowl. set aside. saute the garlic and shallots in olive oil. add the sherry and reduce liquid by half. lower heat to medium and add the tomatoes, tomato sauce and basil. stir well. take your chilis and deseed them. sprinkle the seeds into the tomato mixture - you can add the chili pods too if you like. mix well. cover and leave simmering for 30 mins. serve with your pasta of choice. sea bass with escargots and cremini mushrooms i got this recipe from our spanish chef friend. it is delicious. *he uses porcini mushrooms (fresh or frozen, but not dried) - i couldn't find any so substituted with cremini mushrooms. you will need: 2 fillets of sea bass (skinned) 3 cloves of smashed garlic salt pepper for the sauce: 1 can of small snails (approx 48) 2 cups of veal stock 1/4 cup of red wine 1 cup of *cremini mushrooms - whole if small enough, halved if larger 2 shallots 3 cloves of smashed garlic - leave skin on salt pepper preheat your oven to 350 degs F. season your fillets with salt and pepper and set aside. wipe the mushrooms down with kitchen paper - halve the larger ones, keep the small ones whole. heat olive oil in a large pan. saute the garlic and shallots. add the mushrooms. saute well til the mushrooms are browned. add the snails. stir well. add the red wine. bring to boil then reduce (2 mins). add the stock. stir well. add salt to taste. leave simmering on low heat, covered. back to the fish: heat olive oil in a pan (that is ovenproof - copper is ideal) until it is smoking, add the garlic and saute. push the garlic to one side of the pan. place the fish fillets in the pan and sear - you want to brown both sides quickly. when browned well, place entire pan in the oven and leave for 3 minutes. place the fish on serving plate and cover with the escargot/mushroom sauce. veal stock veal stock is key for the above recipe - make the stock in advance, it takes around 3 hours to make. same method as with beef stock. i used a veal rib and some veal loin, 1 large carrot, 2 sticks of celery, fresh oregano, salt, pepper, 2 cloves of garlic, half of a large onion. i fried the onion half, flat side down, almost scorching it then added it to a large pan with the rest of the vegetables. i sauteed everything for 5 mins then added 2 quarts of water. brown the veal in a pan using olive oil - about 4 mins. add the meat to the large pan of vegetables. skim the stock regularly, leave it simmering for 2.5 hours. it's simple and delicious. i made them smaller than usual as i was unsure how they would turn out. i also gave each one a bit of a twirl hairstyle, rather than the regular flat top. i used culinary lavender. when cooking, the smell from the oven was lovely - almonds, lavender...odd combination i suppose but it works nicely. the buttercream filling is where the orange comes in. it's regular buttercream but instead of using turron or almond paste (or whichever flavouring you have used before), i used zest from one orange. i will have to fiddle a bit with the colouring next time... given the potential for disaster with the lavender macarons, i also made my failsafe turron macarons as backup! Adapted from Authentic Mexican: Regional Cooking from the Heart of Mexico, by Rick Bayless 1 ½ Tbsp. sesame seeds 1 tsp. dried oregano 1 scant teaspoon salt 2 large cloves garlic, peeled and roughly chopped ¾ cup apple cider vinegar 2 Tbsp. shelled raw pumpkin seeds 1 ¼ oz. (about 50-60 mixed-size) dried chiles de árbol ¼ tsp. cumin seeds (or a generous ¼ tsp. ground) 1/8 tsp. ground allspice A big pinch of ground cloves Water Place a shallow pan or skillet over medium-low heat. Add the sesame seeds and toast, shaking the pan occasionally, for several minutes, until they turn golden. While the sesame seeds toast, put the oregano, salt, garlic, and vinegar in the blender. When the sesame seeds are ready, scrape them in as well. Return the pan to the stove, turn the heat up to medium, and add the pumpkin seeds. When the first one pops, stir frequently for a few minutes, until all are golden and have popped up into a rounded shape. Add them to the blender. While the pumpkin seeds warm and toast, start prepping the chiles. [now is the time to put on some rubber gloves!] Pull off their stems; then gently roll them between your thumb and fingers, pressing gently to loosen the seeds inside. Break them in half, shake out as many seeds as possible, and add them to the blender. In a mortar or spice grinder, pulverize the cumin, allspice, and cloves. Add them to the blender. Blend for several minutes, until the mixture is orange-red, a bright brick color, and feels quite smooth when a drop is rubbed between your fingers. Strain the sauce through a medium-mesh sieve, stirring and pressing on the solids with a spoon. There will be a fair amount of chile seeds, skins, sesame hulls, and other debris left in the sieve - discard. The strained sauce will be somewhat thick and creamy. You can leave it as is, or you can add some water to thin it (3/4 cup). Whatever you choose to do, pour the sauce into a jar or container with a tight-fitting lid, and refrigerate it for 24 hours before serving. The sauce keeps indefinitely refrigerated. i am not a fan of drinking water except when in dire thirst situations, and then it has to be ice cold (high maintenance??). as i am in improvisation mode (see previous posting re iced tea - which actually tastes good!! ), i am trying out adding flavouring to water. in dc we can't drink water straight from the tap - well we can but it tastes horrible. use filtered water if you live in dc, and if you live in england lucky you... place slices of a) green apple with mint leaves, b) raspberries, or c) lemongrass and pieces of ginger d) cucumber with mint leaves in the water. for just a hint of flavour, leave the added ingredients for about 1 hour. if you want the taste a bit or much stronger, leave until you get your desired flavour. serve over ice with either the fruit etc inside or strain and add a fresh sprig as garnish (so your guest has a clue what they're about to imbibe - particularly if like me you have a tendency to put odd things in food). i picked up a great vintage cooking book a few years ago - a secondhand bookshop find. it's called French Menus for Parties by the Chamberlains. it was written in 1968 and contains menus and recipes for all kinds of entertaining - old school, french style. the menus are great - they detail each course and include wine suggestions. you get page after page of information on the most fabulous dishes - they cover every kind of party one can imagine - christmas, informal sunday lunch, summer lunch party, country weekend lunch or dinner, provencal or basque menu for a dinner party...even luncheon for lent. there is no excuse anymore! until today i didn't realise zucchini are green italian squash. am i the only person in the world not to have known that?? here is a menu suggestion for a Dinner Party for Eight Guests: cocktail hors d'oeuvre Hot Miniature Cheese Pastries Pickled Mushrooms Shrimp on Toothpicks, Lemon Mayonnaise Eggs Poached in Cream Squab or Rock Cornish Game Birds with New Peas Red Bordeaux (such as Chateau Cheval Blanc*) or California Pinot Noir *Served also with the cheese Ripe Camembert or Brie Sliced White Clingstone Peaches and Whole Small Strawberries, marinated in Kirsch and sugar Petit Fours Demitasse Cognac i love it - I know there is a recession on and Cheval Blanc, game birds etc are not on one's regular menu, but it is fun to imagine, no? straight from the book, here's the recipe for the eggs poached in cream: oeufs cocotte a la creme For each egg use a small ovenproof custard cup or a 3-inch miniature french souffle ramekin. Put a piece of butter in each cup, break an egg over the butter and add a tablespoon of very heavy cream. Sprinkle lightly with salt and freshly ground white pepper. Put the cups in a large shallow pan and carefully fill the pan with boiling water just to the level of the cream in the cups. Cover the pan, keep the water barely simmering and cook the eggs for about 6 minutes or until the whites are set. Test the edges with a spoon before serving, as the cooking time depends soewhat on the thickness of the cups. Sprinkle each egg with minced truffle and serve immediately. anything that has name like this deserves to taste good. this is a very quick and simple pudding to make. all you need are strawberries, thick cream, greek or plain yoghurt, sugar and powdered sugar. oh and the juice of 1 lemon. measurements below for 6 servings. 1. puree 400g of clean and hulled strawberries with 100g powdered sugar and the juice of 1 lemon. use a blender and whizz for a couple of seconds. set aside. 2. dice 100g strawberries and toss them in 40g sugar. set aside. 3. whip up 250g cream until it forms soft peaks - add 250g of yoghurt and continue to whisk until solid peaks form. the mixture will thicken, this is what you want. 4. fold the strawberry puree into the cream mixture and add the diced strawberries. fold well. it will leave lumps of cream, this is ok, fold until they lessen but be careful not to squish them as this will remove air from the pudding and it will be flat rather than fluffy. 5. pour into ramekins or a large bowl. chill in the fridge for 2 to 3 hours. 6. serve with a sprig of mint on top and a bite-sized cookie on the side. you can make this pudding with other fruit such as bananas or pomegranates. the latter being rather fiddly but definitely worth it. if it's too sweet, reduce the amount of powdered sugar but don't alter the ratio of ingredients too much or it will not hold its shape. preheat the oven to 400 degs f make up some pastry dough using: 1 stick butter 2 cups of flour 1 large pinch of salt 5 tablespoons cold water mix together the flour, salt and butter until it resembles rough breadcrumbs. add water tablespoon by tablespoon until the dough holds together when you "squeeze' it. it shouldn't be sticky. i used 4 tablespoons this time. now form it into a ball and flatten into a disc shape, about 2 inches in height. wrap it up in serran wrap and refrigerate for 30 mins. in the meantime, make your filling using: 5 small onions (i used yellow ones) 2 whole anchovies (i used salted ones, rinsed them well with cold water, removed the spine and then sliced them diagonally) herbs de provence 4 eggs 1/2 teaspoon grated nutmeg black pepper salt 1 cup of cream 4 tablespoons butter slice the onions and cook on a low heat in 4 tablespoons of butter for 20 mins or until they are soft and translucent. add the sliced anchovies, a large pinch of salt, black pepper and a teaspoon of herbs de provence. mix well. whisk the nutmeg, eggs and cream together and add to the onion mixture. remove your dough from the fridge and roll out enough to line an 11inch pastry tin, with 1/2 inch hangover. bake this blind at 400 degs f for 20 mins using ceramic beads and tin foil to weight the pastry case down. if you don't have ceramic beads, use raw rice grains. after baking blind, remove the beads and foil, and pour in the onion mixture. spread the onions out evenly and now bake again for 25 mins. the tart is cooked with the top is brown and firm (but be careful not to overcook it). my tart came out looking fab and puffy but after a few minutes the filling deflated slightly. be warned, this happens, i've been told this is normal. phew.